Free to members or with admission to the sculpture garden. Younger children should be accompanied by an adult. 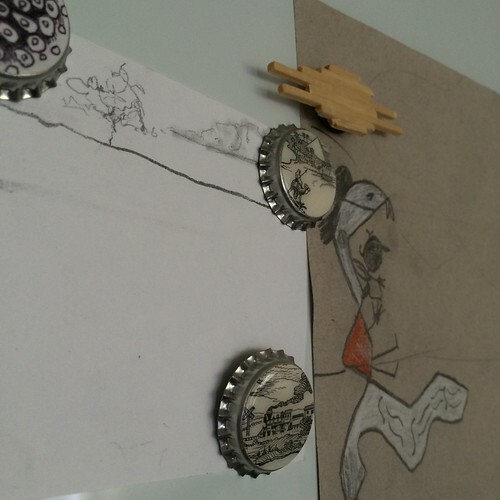 Drop in the art studio to make a selection of coin-sized sculptural magnets for your refrigerator art gallery. Choose from a variety of materials and methods: sculpt air-dry clay, arrange small mosaic tiles, make a bottle cap collage, or construct wooden mini-stick sculptures.